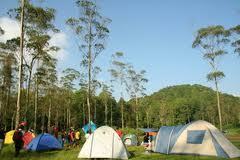 Campgrounds Ranca Upas is one object Ciwidey ecotourism in the area, South Bandung. 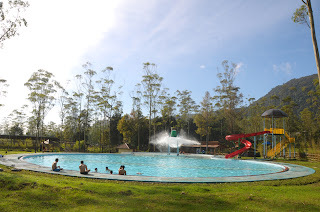 Not only the nature lovers who use this place for camping or doing other outdoor activities, travelers who are recreation to Ciwidey can also take the time to visit this ecotourism object. 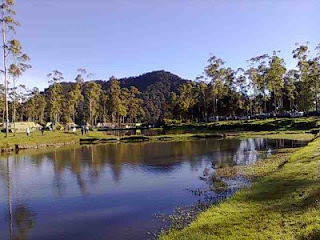 Located not far from the main gate of the White crater Ciwidey, before entering the area of ​​ Rancabali Tea Plantation. After entering the right side we will see a few locations where open tent, prayer rooms, public tolet, and the left will look where outbound, water bombs and reindeer breeding. 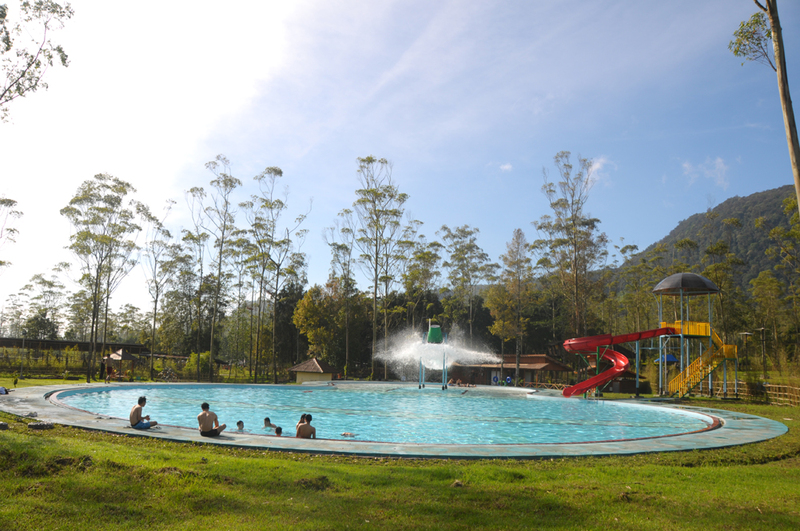 For Outbound and water boom is a new recreation area, which was inaugurated in February 2012, so it was still really good condition and well maintained. Campgrounds ecotourism object Ranca Upas has an area of ​​215 acres of rolling hills rich in natural resources and natural forests. Above an altitude of about 1,700 above sea level, the weather is very cool in the range of 18-23C adds to the ambiance of nature in this region more attractive. Natural forests in the region covered several types of trees such as Puspa, Jamuju, Guard, Kitambang, Kihujan, Hamirung, Kurai and Pasang. While the fauna that can be found among other doves, crows, hawks, monkeys. Campgrounds in the Upas Ranca there are some stalls are open 24 hours during the weekend, and open up to 12 hours during week days Malem. It turns out the stalls in addition to providing the toilet, instant noodles, coffee, milk, tea, snacks, fried rice, skullcaps, gloves, flashlights, batteries, socks, and some other general supplies and camping tents ... it also provides various sizes. Visitors will be spoiled by the presence of an object Captive Deer Ranca Upas covering 4-5 hectares located in this region. 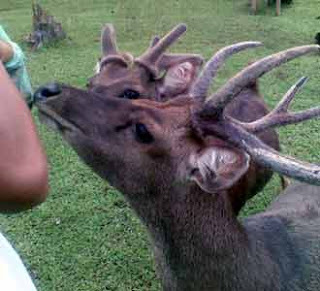 Tame deer herd type that was originally imported from Jakarta Ragunan Zoo make ecotourism object Campgrounds Ranca Upas has it's own allure. 4. Prepare your own needs.